In 1988, the owner of Insty-Bit, Inc. developed a quick change drilling system to avoid the time-wasting process of constantly switching bits. The system has since become much faster and easier to use – expanding to a larger selection of chucks, countersinks, drill adapters, extensions, drill bits, and more. 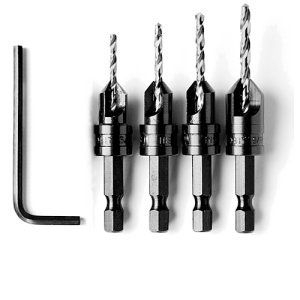 You can get hex shank drill bits in traditional, tapered, and Brad Point formats. Choose from Insty-Bit countersinks in flute (pilot) and tapered variations. Multiple quick change chucks are also available!